It's never too early to think about Mother's Day! Wallkill East will be selling roses and plants for Mother's Day again this year. Rose pick-up will be on May 6th and the plant sale will be on May 7th starting at 9am. Pre-orders are welcomed and encouraged. 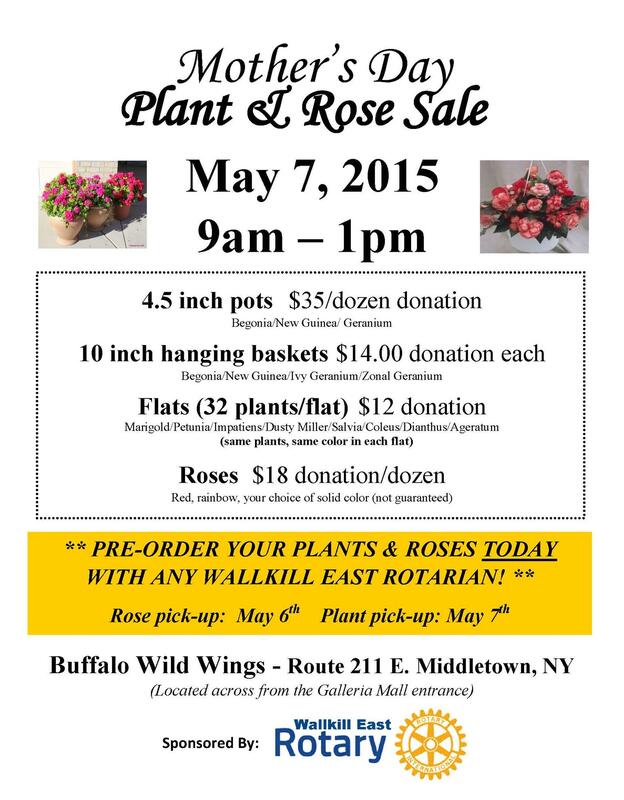 Please see the flyer for all the details and contact any Wallkill East Rotarian to place your order.